Trevor Pearcey was a British born CSIRO scientist, who created CSIRAC, one of the first ever stored program electronic computers in the world. He was born in Woolwich, London on March 1919. He graduated from Imperial College, London in 1940 with First-Class Honours in physics and mathematics. He terminated his PhD studies because of the war and joined the Air Defence Research Development Establishment. He emigrated to Australia in late 1945 to work at the Radiophysics Division of CSIR. After working on radar systems, he began, in 1946, to formulate the logical planning for an ‘Automatic Computer’ given the decision by the Chief of Radiophysics Taffy Bowen and Assistant Chief Joseph Pawsey to focus on radio astronomy and rain-physics as the two main areas of research, with a third, radio propagation dropped in favour of the development of electronic computing. Pearcey had seen Howard Aiken’s Mk1 (or Automatic Sequence Controlled Calculator) at Harvard in 1945, and decided that paper tape-based systems were too slow, and that a fully electronic design would be superior. The construction of the Mk1 computer was conducted from 1946 to 1948 with Maston Beard in charge of engineering and Trevor Pearcey covering the logical design. This machine, the CSIR Mark I, was developed largely independently of work then underway in Britain and the US. The Mark I ran its first program in November 1949. It was almost certainly the fourth stored-program electronic computer in the world and the first outside Britain and the US. The MkI was transferred to the University of Melbourne in 1955 and renamed CSIRAC. CSIRAC was the first computer in an Australian University and the first in Victoria. It provided a computing service to scientists, engineers and the Melbourne business community until 1964. CSIRAC still exists intact, making it the oldest surviving electronic computer in the world. It was a matter of regret to Pearcey that Australia did not capitalise on these early successes. However, CSIRAC played a major role as a training ground for many of the men and women who were to lead the computer revolution in Australia. 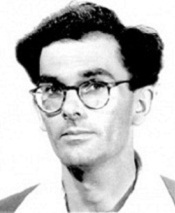 His work on CSIRAC was followed by studies of programing languages in the United Kingdom and of computer networks when he returned to Australia in 1959. Pearcey participated in the design of several other notable Australian-designed and constructed computers. He was the original architect of the CSIRO computing facility of the 1960s, leading to the establishment of the CSIRO Division of Computing Research and the nationwide CSIRONET system. After a brief period with Control Data Corporation, Dr Pearcey became the first Dean of Computing at Caulfield Institute of Technology (later Chisholm Institute and now a campus of Monash University). Apart from his pioneering work with computers, Trevor Pearcey was a prodigious publisher of scholarly papers. His interests included work in radio propagation, physical optics, scheduling of air traffic, crystallography, viscous flow and classes of non-linear systems that exhibit what is now referred to as chaos. His collected works for the DSc awarded to him by the University of Melbourne in 1971, comprise three volumes of telephone-book thickness, totalling almost 1800 pages. People today call this the World Wide Web. Trevor Pearcey died on Tuesday, 27 January 1998. In 1998, the Pearcey Foundation was formed in his memory as a great Australian ICT pioneer, to promote the significance of the ICT sector and its ability to positively contribute to the Australian economy. Pearcey Oration by an eminent Australian on critical ICT issues. The most prestigious Australian ICT Award to an individual is the Pearcey Medal.